Here you’ll find material and links that might help you in your MA studies. Feel free to browse if you’re considering whether or not to do a postgraduate degree: maybe something here will help you to decide! What does the study of A863 involve? Listen to my 15-minute introductory podcast to find out! Starting A864 and worried about the Dissertation? Hopefully this recording will make you feel a bit more confident! Critically analysing a secondary source: relevant to the Classical Archaeology Block. Critical Appreciations: a step-by-step guide for those new to critical appreciation. Joining an academic library, in five easy steps: the Sconul scheme. Translation Issues arma virumque cano: relevant to the Language Block. Notes from an EMA marker: some essential advice when preparing your A863 EMA. A Day Out in Milton Keynes: a review of the MA Day by Pauline Robinson. Should you go to Summer School? : worth considering in between your MA modules. MA Dissertation Advice: tips from former A864 student Jack Lambert. A useful graphic to represent how we all feel at some point in postgraduate study! From https://twitter.com/rundavidrun/status/587671657193455616. Should I do a PhD? or… Name? Occupation? Specialist subject? A330 Tutorial 1 : a set of resources for the study of the Icarus myth, focusing on nineteenth and twentieth century receptions. A330 Tutorial 2: a set of resources for studying the myth of Philemon and Baucis, with a focus on Ovid. Superhero Origins: a set of resources for looking at the development of the fictional hero in Augustan Rome. Echo and Narcissus: a set of resources on Ovid’s role in the development of the myth and its later reception. An interesting interview on translating, with Sarah Ruden and Emily Wilson. A useful article on reception of Euripides’ Trojan Women, from Eidolon. …and another article on Trojan Women from Eidolon. 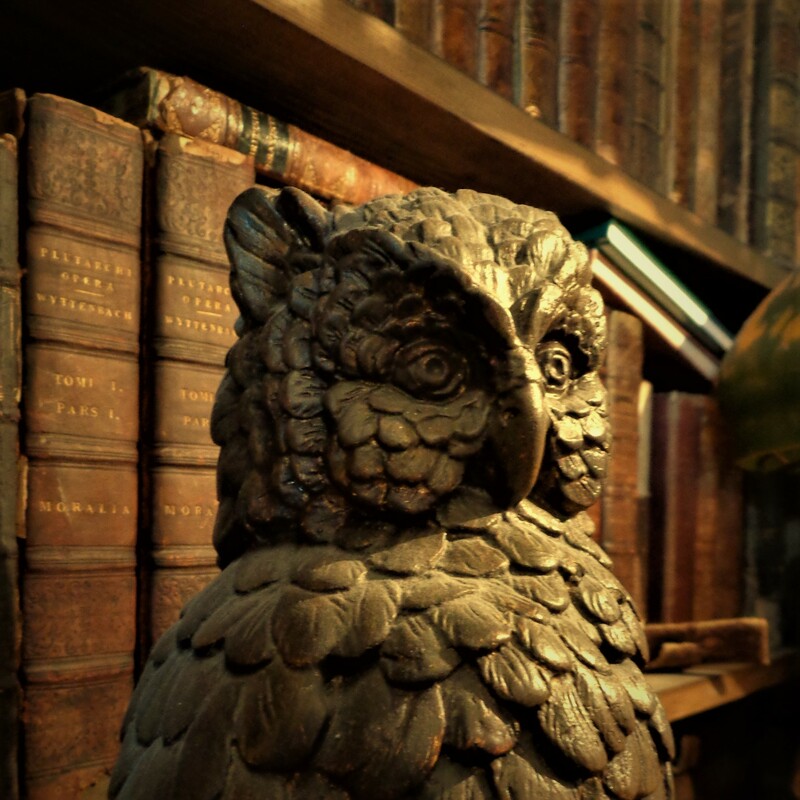 My wooden owl: the least annoying of the creatures who keep invading my library…!